Bacon on the beech: Chennai Dosa, Manchester. Loads of people I know told us that we just have to go to Chennai Dosa in the Stretford Arndale. "It's so cheap" they said. It's especially good for our vegetarian friends. 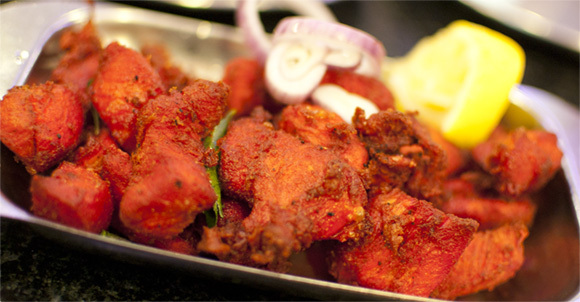 It's authentic South Indian street food. A friend's Birthday came up, so we all went on Saturday. We ate early evening, as apparently there's massive queues later on. They had warned me that the interior was not up to much. 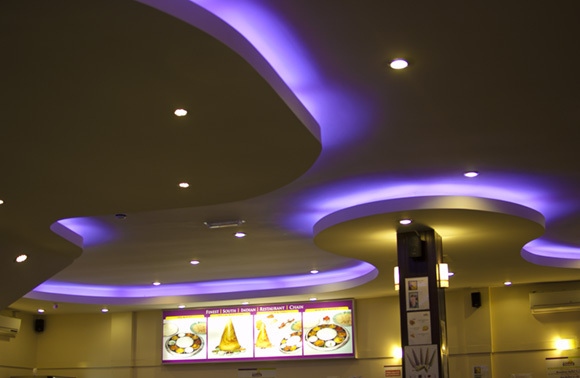 It's a bit like a school canteen and very brightly lit with zero ambience, but you're not paying for a nice restaurant, so this is part of the deal. The Kingfisher beer at £3.20 was fairly reasonable for a restaurant, and these came thick and fast all night. The food service was a little slower. It was amusing to see them come and shout out the dishes very quickly whilst our party struggled to understand, most of us were either deaf, drunk or both. 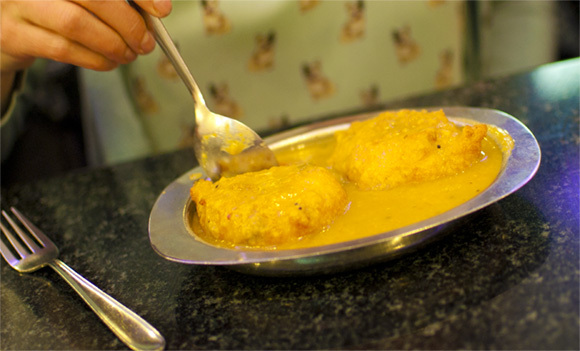 The Sambar Vadai like little doughnuts (£1.99 for 2 pcs) came first. Mrs Bacon loved these, I wasn't so sure. I also tried a friend's none sauce version and that didn't win me over either. We also had the Chicken 65 (£3.99) as described on the menu it was dry, really dry. it was also bright red and just awful. If we returned we wouldn't eat meat, it's poor quality and we guessed the chefs would most likely be vegetarian. 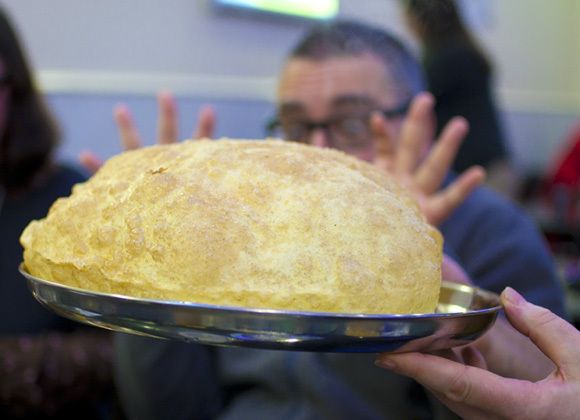 We tried a friend's massive inflated puffer fish like Chana Bhattura bread (£3.15) You pop it like a balloon and it deflates, it's empty inside. It was really nice this bread. We also tried a little of the Chilli Fish (£4.25) which was pretty good and spicy. The Chilli Paneer (£3.65) was also ok.
Our favourite of the night by far was the Butter Paneer Masala, (£3.50) which we fought over. I counted Mrs Bacon's pieces of paneer and told her she'd got more than me, rather reluctantly she passed a piece over, guarding the rest with her knife. 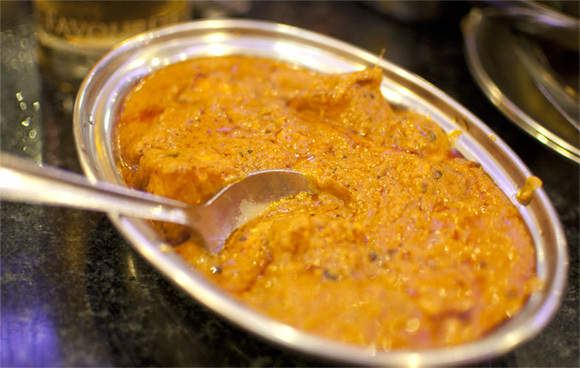 Butter Paneer Masala; the star dish. I was a little disappointed in the actual Dosa, Chicken Masala Dosa (£4.15) It was kind of like school dinners Indian style. 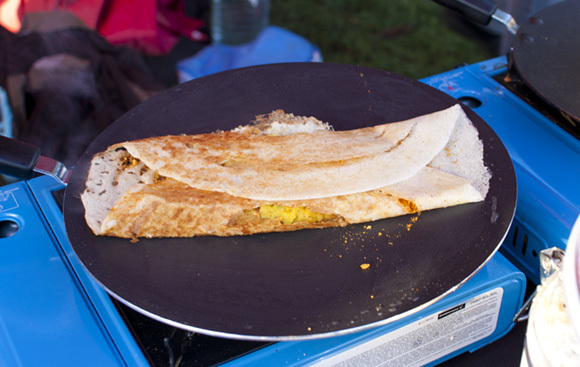 We preferred the dosas from the lovely people at the mobile Chaat Cart, where we'd eaten just before Christmas. They were crispier and the fillings were nicer. Dosa from Chaat Cart; much better. Mrs Bacon's Vegetable Rice didn't overly impress her either. 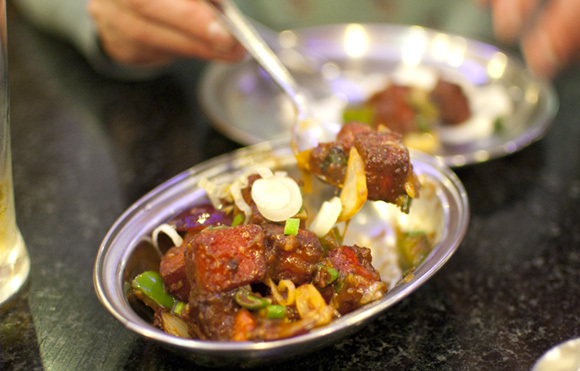 (Perhaps the south Indian spices are an acquired taste.) But we liked the Parotta bread (£0.95.) 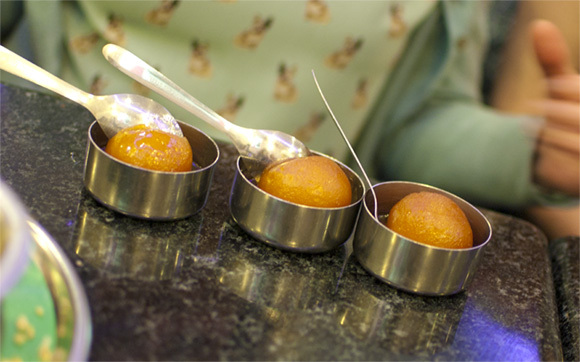 She had the Gulab Jamun for dessert (£0.75) which she said was lovely. 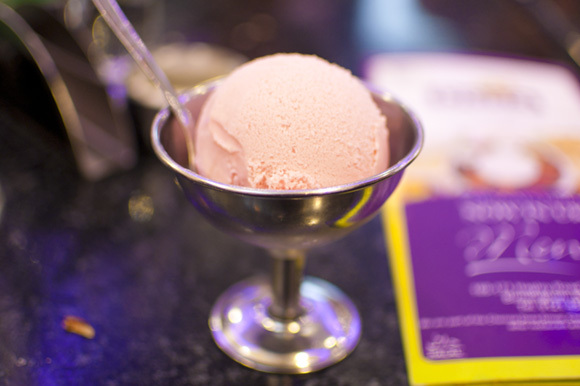 I had the most fake cheap Strawberry Ice Cream (£1.99) which I still relished even though it tasted of fake strawberry, not real fruit at all. But what do you want for £1.99? 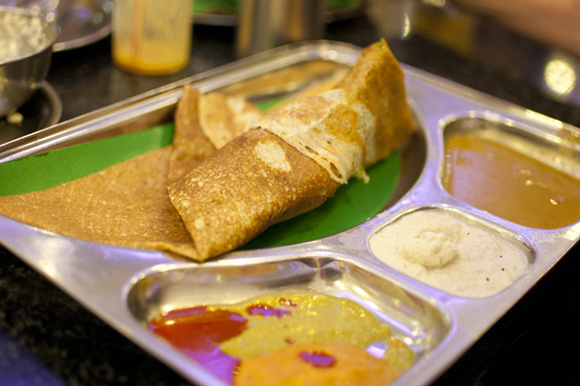 In conclusion, I enjoyed our evening, but I didn't fall in love with Chennai Dosa, it clearly has it's legion of fans (especially amongst my friends) and they tend to really love it. The price is the USP. If you remove the fact that's it's dirt cheap, the food isn't that special, for the most part it underwhelmed me, but it is apparently authentic. I would return, but definitely eat totally vegetarian. Service: Fast for beers, slow for food. Star dish: Butter Paneer Masala. 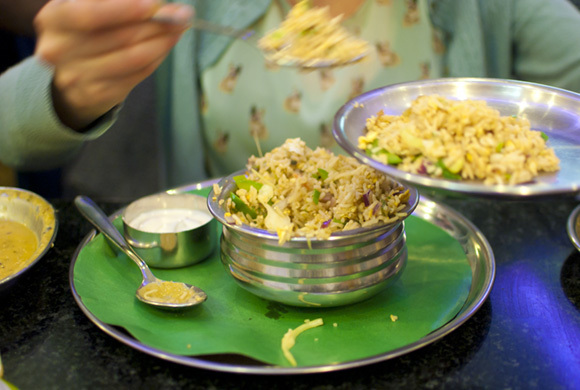 Have you been to Dosa Xpress in Withington? That's pretty tasty, and I think about the same price. Thanks Anna & Jamie, I've heard of it but not been yet.